My third day in Paris began with the standard sunny side up egg and necessary cappuccino. 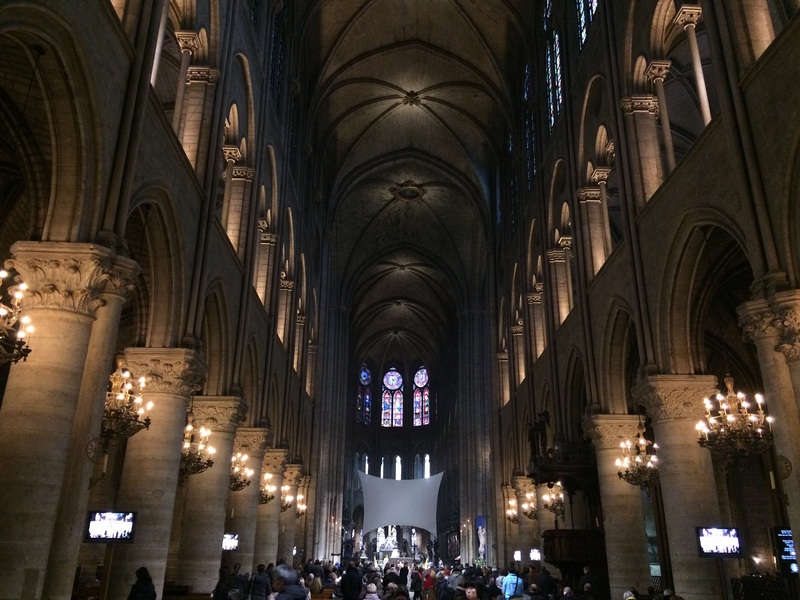 Fifteen euros later, we left for Notre Dame. After waiting in a long line, I was able to step foot in the church (for the second time in my life) and be completely taken away by the beautiful stained glass and ongoing mass. I was fortunate enough to write a little prayer and add it to the massive box full of prayers from people of around the world. 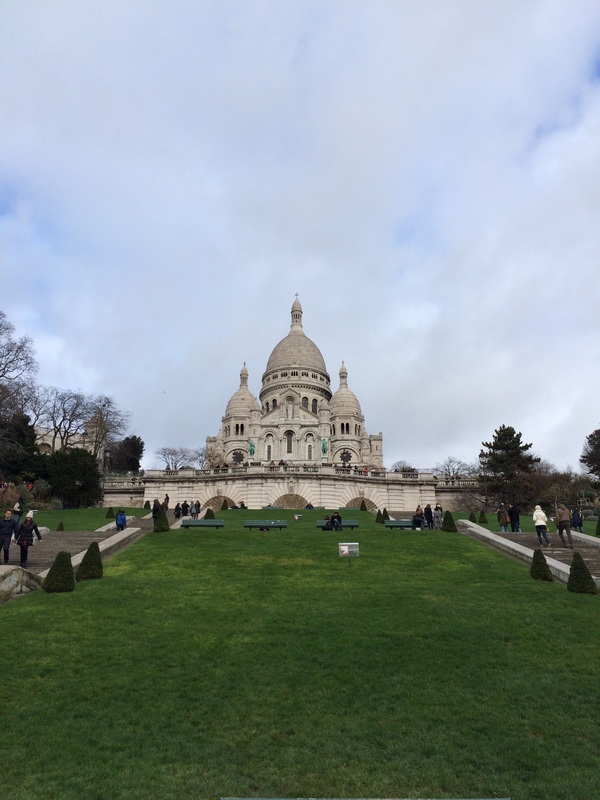 We took a couple pictures (no flash, of course) and headed for Montmartre, particularly Sacre Coeur. Hundreds of steps later I emerged at the top of Sacre Coeur, where I saw a beautiful 180° view of the metropolitan city of Paris. Inside the chapel pictures were prohibited, but you can simply imagine how beautiful the architecture is. Click the image for a detailed view of Paris. We walked around Montmartre where my friend had his portrait drawn while I sat in a French café, sipping on vervaine tea. Shortly after we visited the Nespresso and Lindt stores at Operá where we sampled chocolate. We concluded our evening by walking in the brisk French night air and enjoyed drinks at two French pubs, Le Pub de Saint-Germain and Le Pre. 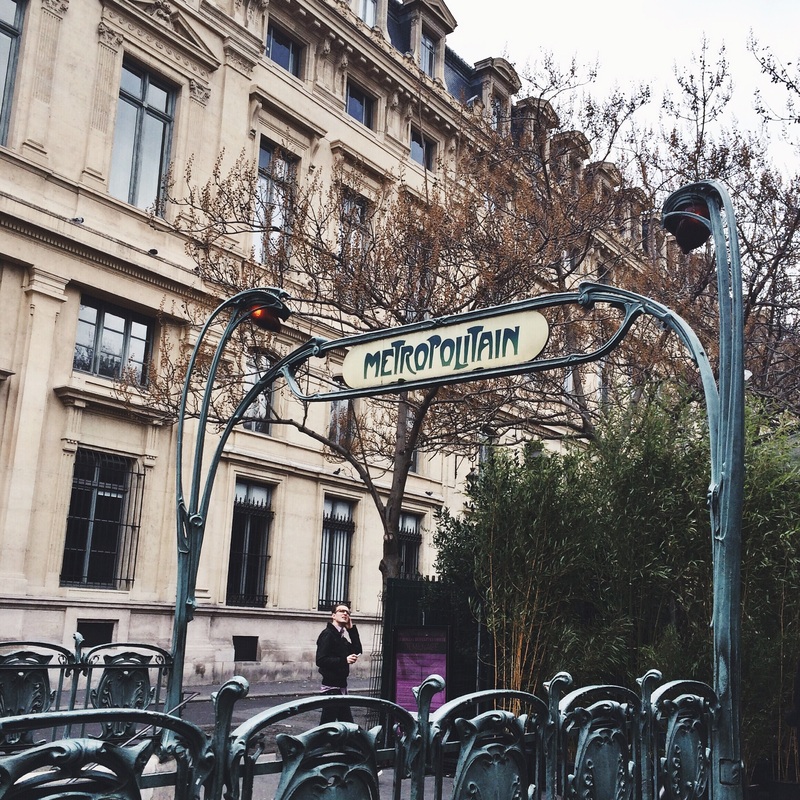 Subway station in Montmartre, just outside of the Notre Dame.